Our rates are very competetive. 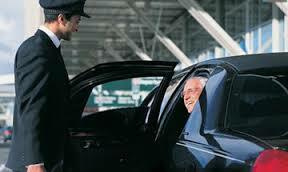 Please contact us at (617)939-7499 or email us at Reservations@needhamtaxiandlimo.com to have a quote. + Tolls where applicable + 20% gratuity. Add tolls and airport fees (outbound from Logan only) and 20% gratuity to all rates. For SUVs add 20 DOLLARS. Children's car seats and booster seats are free of charge. Roadshows are 55 DOLLARS/Hour for Sedans + 20% gratuity for 3 hours minimum and 65 DOLLARS/Hour for SUVs + 20% gratuity for 3hours minimum + Tolls if applicable. NYC 550 DOLLARS + 20% gratuity for Sedan. NYC 750 DOLLARS + 20% gratuity for SUV. · FOR ALL OTHER TOWNS PLEASE CALL US AT: (617)939-7499 for availability and rates.